Newton’s first law of physics states: “An object that is in motion will not change its velocity unless an unbalanced force acts upon it”. That might be what’s required for anyone coming up against North Geelong in NPL2 at the moment. With the Warriors’ impressive record of six wins and a draw in their past seven encounters, the faithful might be wondering how long the run can continue. Up for the challenge of breaking the streak will be Brunswick City, whose form has been impressive too with three wins and two draws in recent outings. Stefan Ristic, Nicolas Gonzales and Kenta Murakami are among the goals threats of which North Geelong will be mindful. Coming off the back of a 2-1 win at Springvale last week, North Geelong will have to provide threats for Brunswick to try negating. Darius Madison and Jamie Noggler who are combining well and not only scored but assisted one another last weekend in what is developing as a good relationship between the two. The Warriors will also feel the confidence lift in regard to personnel, with player-coach James Coutts stepping into the central midfield role for Julian Cassano, who was unavailable last round. The move indicates that the team can continue with its high-performance levels despite the need to shuffle the starting 11. North Geelong will need to shuffle again on Saturday after skipper Michael Anderson came off with a hip injury last round and is expected to miss, leaving the opportunity for Dom Marafioti to step into the starting line-up. 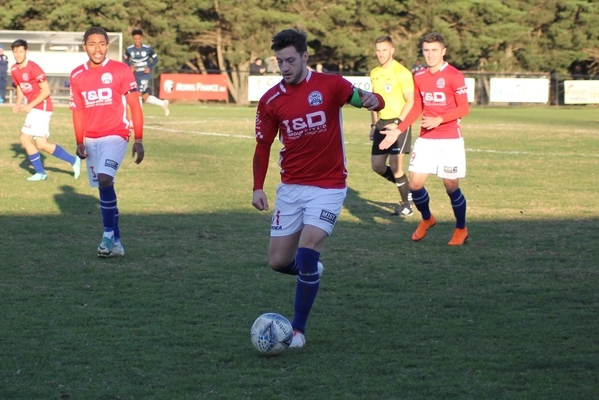 The bright news in results also came from the under-20s youth squad, which turned around a four-game losing streak by beating top-of-the-table Springvale 2-1 with goals to Daniel Gudasic and Stefan Papageorgiou. This Saturday’s action at Lara’s Elcho Park kicks off 12.45pmfor the under-20s and 3pm for the first team.